Washington, D.C. — Twenty-two sustainability and urban organizations, including the U.S. Green Building Council (USGBC), announced the formation of the Smart Surfaces Coalition, a group of experts and organizations helping cities rapidly adopt cost-effective solutions to cut excess heat radiation from buildings and surfaces, reduce flood risk and improve livability, health and equity — while saving billions of dollars and creating hundreds of thousands of new jobs. Excessive summer heat waves are the new norm in the U.S., with scientists finding that most American cities will experience a huge jump, up to five or even 10 times as many excessively hot (90+ degrees Fahrenheit) days, within just a few decades. The five hottest years on record globally have all occurred since 2010. In the U.S., May 2018 was the hottest on record, and June 2018 was the third hottest in the 124-year temperature record. Rapidly rising temperatures are already costing consumers and companies billions in higher energy and health care costs, and making American communities less livable and healthy. 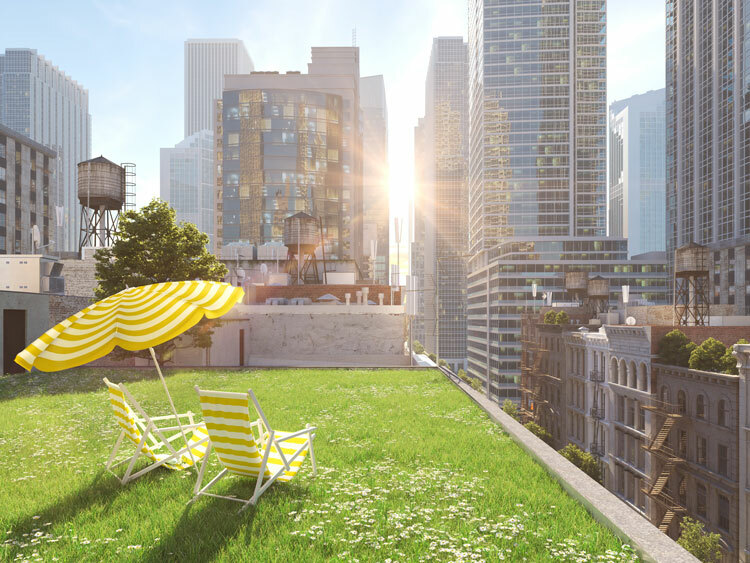 By adopting proven smart surface measures, such as reflective or green roofs, cities can reduce the amount of hot air being reflected back into the surrounding environment, lowering temperatures of cities and communities, saving money and improving lives. USGBC, which manages the LEED green building rating system, incorporates many of these tactics into credits that building owners can use to earn LEED certification. LEED is the most widely used green building rating system in the world. The Smart Surfaces Coalition is already working with a dozen cities to develop tools and training to support mayors, city managers and other key officials around the U.S. to understand and adopt these remarkable new opportunities to improve quality of life, health and fiscal bottom line. The Coalition’s goal is to partner with more than 250 cities to adopt and begin implementing smart surfaces as standard city-wide policy by 2023. The Coalition released a new eight-page white paper, Stay Cool/Save Cash (www.staycoolsavecash.com). Its recommendations and findings are based on a 300-page report, Delivering Urban Resilience, which is built on four years of data collection and research on greening the cities of El Paso, Tex., Philadelphia and Washington, D.C.
Fifteen organizations, including USGBC, the American Institute of Architects, the National League of Cities, the National Housing Trust, the Chesapeake Bay Foundation and The JPB Foundation collaborated on the report, which found that smart surface adoption would save El Paso $540 million, Philadelphia $3.6 billion, and Washington, D.C., $1.8 billion, not including large additional financial benefits from avoiding lost tourism revenue. Smart surface technologies produce savings in the form of lower energy and water bills, lower health costs, reduced water treatment and infrastructure costs. New jobs would result from manufacture, installation and maintenance of smart surfaces, many of which are labor-intensive. Low-income urban areas are generally more vulnerable to extreme heat, as they have less green spaces and more impervious surfaces, resulting in hotter temperatures and poor environmental air quality. This leads to higher energy bills and greater health risks. Smart surfaces help solve all these structural inequalities.